The family of a grandfather who was murdered in his home by an intruder who was out from prison on licence following another killing said the case was "crying out for further investigation". John Gogarty, 65, was stabbed 69 times during the attack on him at his home in Wombwell, South Yorkshire, in July 2015. Ian Birley was given a whole life tariff for the murder two years ago. The judge heard how Birley had been out on licence at the time he killed Mr Gogarty after he was released 18 months before from a prison sentence for another murder. Birley, who was 43 at the time, was jailed alongside Helen Nichols, 38 at the time, who was given a life sentence with a 20-year minimum for murder. On Monday, lawyers representing Mr Gogarty's daughter, Nicola, won the right to have a full inquest into the circumstances surrounding his death, which will look at whether there were failings by agencies involved in and after Birley's release from prison. After hearing arguments at the Medico-Legal Centre, in Sheffield, senior coroner Chris Dorries agreed an inquest should take place at a date yet to be fixed. Inquests are not normally held into deaths which have been explored in a crown court trial. Anna Morris, representing the family, told Mr Dorries: "They know so little about their father's death and how it was to happen. The family clearly feel that they have not been given the full picture." Ms Morris added: "Even on what little is known by them, the facts of Mr Gogarty's death are crying out for further investigation." 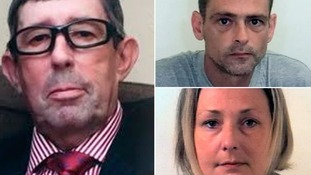 The barrister told the coroner that the family had had one meeting with the probation service, in 2016, about Birley and the "significant similarities to the first killing". She said the family left that meeting with "severe concerns". Coroner Mr Dorries said Birley and Nichols will have to be informed of the inquest and he may have to consider making them "interested persons" in the inquest process - a status which would give them the right to question witnesses. Property developer Mr Gogarty's body was found covered in blood in his home four days after what the judge called a "frenzied" attack. Nichols was caught on camera taking money from Mr Gogarty's account at a cash machine and a jury was told how the couple, both also from Wombwell, had robbed him to pay a drugs debt. After Monday's hearing, Nicola Gogarty said in a statement released through lawyers Slater and Gordon: "We are delighted that the coroner has granted us the chance of a full inquest into my father's death. "I now look forward to hearing the truth about the failings that led to convicted killer Ian Birley murdering my father." Birley was jailed in 1996 for the 1995 murder of pensioner Maurice Hoyle in his Barnsley home.